You know that reforms are being made in the right direction when the country’s largest bank decides to step up and announce to help startups in acquiring seed capitals and further investments. A lot has been written in the criticism of the contemporary government at the center but all we have seen happening over the time is good change. The new set of reformed rules and tax regimes are working in the favor of small-scale businesses and tech startups. Be it MUDRA Yojana or the Make in India campaign, each one of these have provided our economy with the requisite support in the contemporary time when the economies of China and US are in turmoil. State bank of India has established India’s very first Startup Bank SBI InCube in Bengaluru. This branch is going to deal exclusively with startups and will help them in acquiring loans and with other fund related helps. State Bank of India had announced earlier that it will be joining hands with varied campaigns run by central government and with other foreign companies and will try to promote entrepreneurship in India. With India’s largest and public bank making an announcement related to an exclusive branch for startups other banks are now expected to join the movement. With foreign banks and payment banks all set to make a debut in India, it is going to be amazing to see our in-house entrepreneurs acquire the best access to funds and investments. 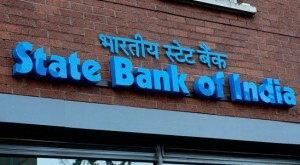 State Bank of India has also made an announcement related to the collaboration between them and tech startups for building software packages that will be used by banks. These software and tools are going to be related to finances and will help bank in going fully electronic in coming times. State Bank of India is the bank with maximum branches in the country. SBI also empowers other banks like OBC hence it is a good move. In coming times hundreds of startups are going to benefit from such startup-based branches. India is moving in the right direction under the leadership of Narendra Modi. It is only about the matter of time that we see how amazingly world will line up to learn the nuances of entrepreneurship from us. The steps taken by State Bank of India are appreciable and very inspiring. It is now only a matter of time that other banks will join the movement and will start providing funds to startups for starting and making a dent in the world. Startup India Standup India event for 16th January is the most talked about event in the contemporary time. Every entrepreneur and startup is looking forward to the announcements the government is going to make. It is going to be really heartwarming to see Indian Government, Indian Prime Minister first time in History to talk about entrepreneurship and startups.